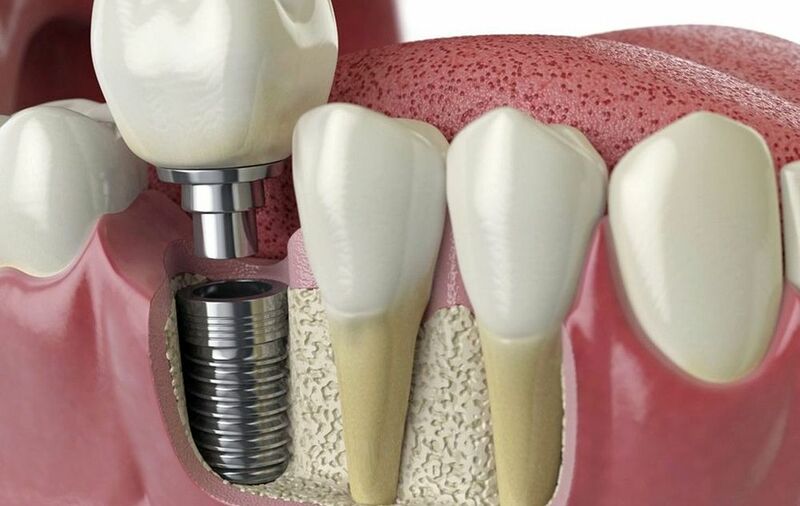 AS AN implant dentist, my patients ask me what they can do to improve their bones to increase treatment success. The answer in this case – food really is the best medicine. When most people think about bones, they think about calcium. Calcium is a mineral that's crucial for the proper development of teeth and bones. Not enough calcium can lead to a reduction in bone density, which has the knock-on effect of making you more prone to bone fractures. So, should we all just take more calcium? Interestingly, studies on post-menopausal women have shown that simply adding calcium alone to the diet doesn't have a huge affect on bone density and that the women who took calcium supplements raised their risk of heart disease. Bone is composed of a hard outer shell and a spongy matrix of inner tissues and it's a living substance. Amazingly, our entire skeleton is replaced every 7 to 10 years. Bone cells called osteoblasts help take calcium from the blood and bind it to bone which in turn makes the skeleton stronger and less susceptible to fracture. However, this only happens if the 'not very well known' vitamin K2 is present to fully activate this process. Basically, Vitamin K2 stimulates the removal of calcium from your blood and puts it into your bones and teeth. If you don't have enough vitamin K2, the calcium builds up in your arteries, hardening them which puts you at a greater risk of cardiovascular disease. Unfortunately, since 1950, the consumption of vitamin K2 has decreased gradually. Vitamin K2 is nearly non-existent in junk food and it's actually not found in many foods at all. Grass-fed beef products are one of the natural foods sources of vitamin K2, which luckily includes most of the cows in Northern Ireland. Liver, free range eggs and Gouda cheese are also good sources of vitamin K2. Moreover, calcium works with its buddy vitamin D to help the body absorb calcium. Boost your vitamin D by eating shrimps, fortified foods like cereal and orange juice, sardines, eggs yolks, and tuna. The body also produces vitamin D when exposed to the sun, 10 to 15 minutes of exposure three times per week will do. So, if you want to help your bones heal after dental surgery or for any other reason try eating more foods rich in calcium, vitamin D and Vitamin K2.